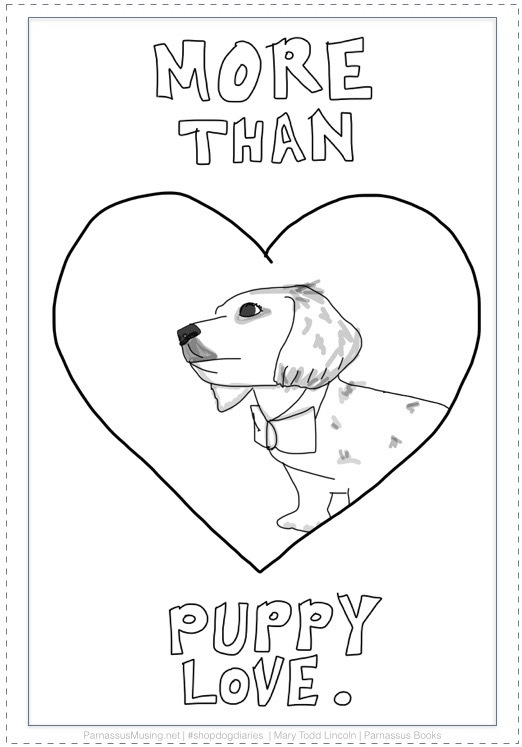 Color Your Own Shop Dog Valentines! Coloring books are all the rage these days, so the shop people say. And we get it — everyone likes to disappear into a creative activity and relax. But you know what else is relaxing? Patting a shop dog. Also, giving a shop dog a biscuit. 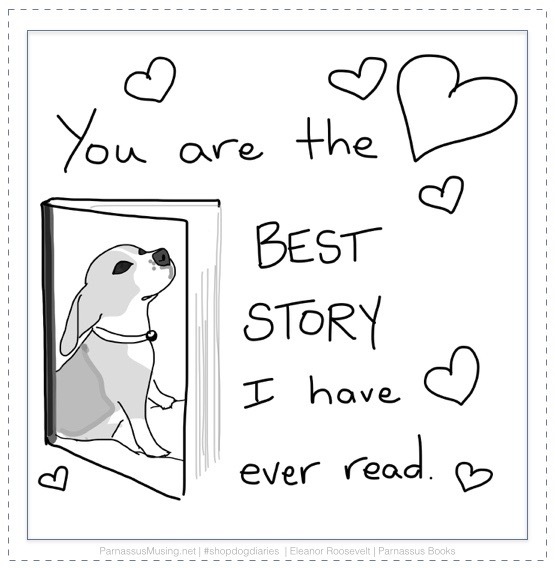 Reading a story to a shop dog, too. 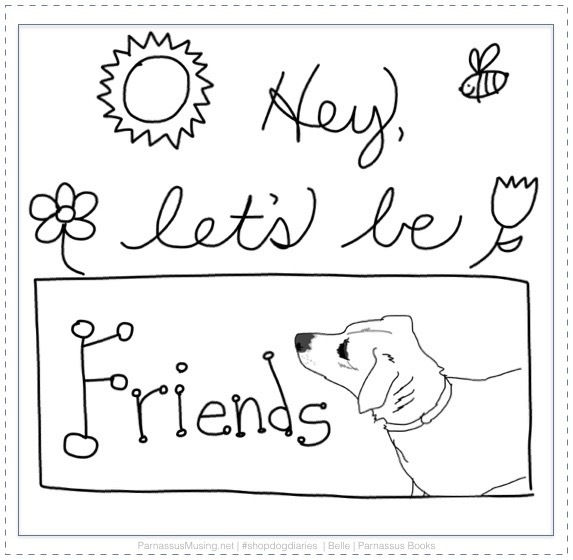 All of these activities are just as relaxing as coloring, if not more. 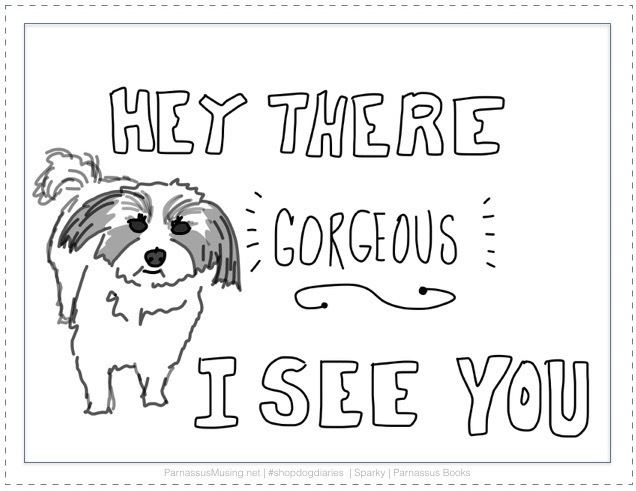 But if you simply must indulge in the coloring trend, you can at least pretend you’re petting us as you enjoy these Valentine cards we made for you and your friends. 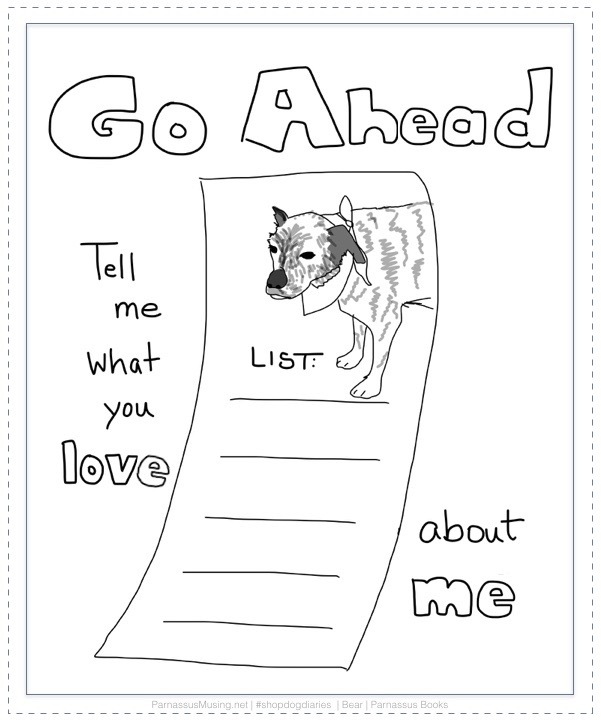 Cut them out, color them in, and give them away. They’re sure to make someone’s day. If you enjoy dog-related crafts, don’t miss this adorable new how-to book, Little Felted Dogs. PS: We have these and many other coloring books, plus colored pencil sets. 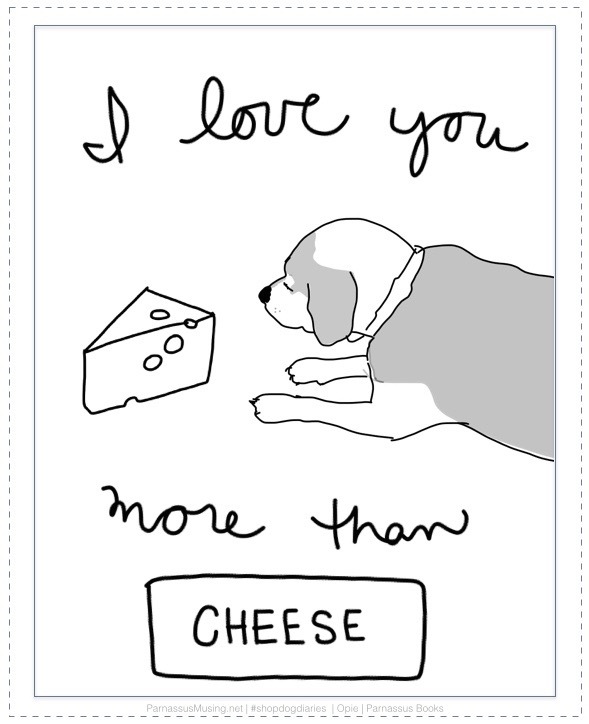 Come pat a pooch and check out the selection! Prev Could This Debut Novel Be the Next “Book Thief”?